Hey all, I am up with 2 cards for CrafTangles, please visit hndmd blog to read more about these. Joining here, inspired by the colors and flowers. Oh, they are gorgeous! I especially loved the first one, the background looks awesome and the flowers are so very pretty in that! Beautiful cards. Thanks for joining us at Moving Along with the Times. Very pretty cards! Love the stone background! Perfect for the lovely flowers! Thanks so much for joining us at the Card Concept! Both are incredible cards Rahmat. Love that sentiment against the starry sky, Rahmat! A great entry for our theme this week - thanks for playing along with us at the Simon Says Stamp Wednesday challenge! 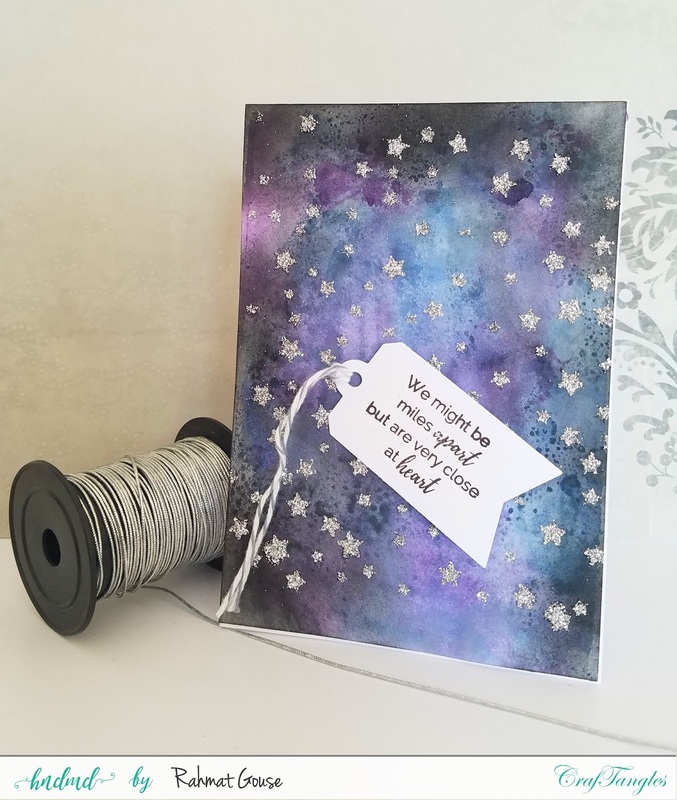 Both cards are awesome, thanks for joining Shopping Our Stash for the getting Sentimental challenge. Love both of your cards! 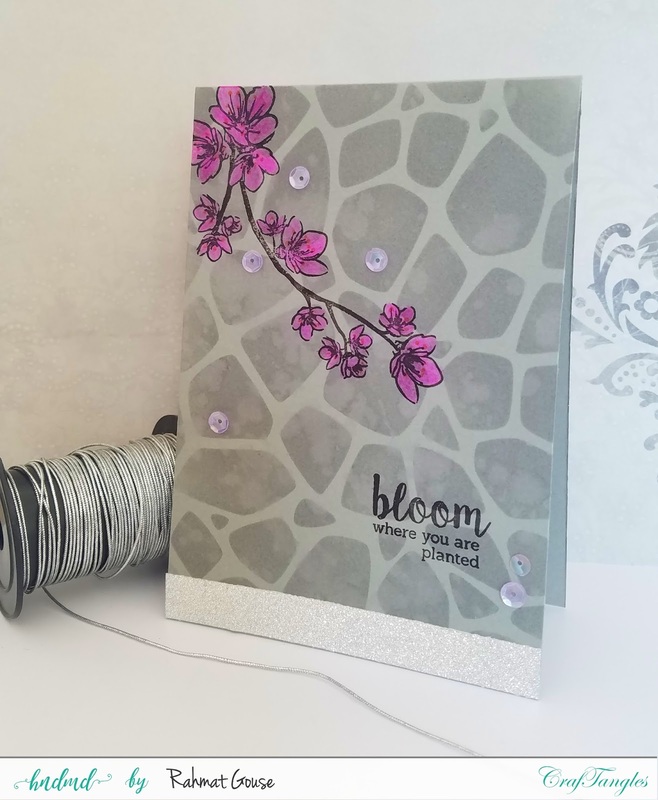 The floral card is perfect for our inspiration challenge- thanks for sharing with us at The Card Concept! Hugs and we hope you can join us again soon!